"From Planet Quartex come Shock Rocks, rock warriors with awesome might!" 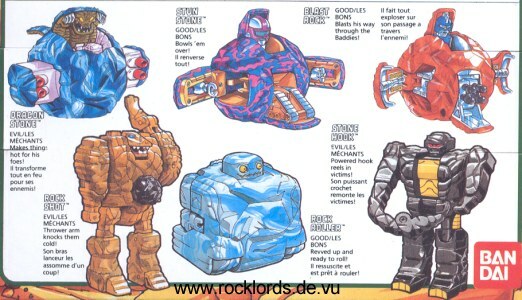 The Action Shock Rocks took the oncept of the Rock Lords line one step further (sadly, it was the last). To the transforming feature was added an action feature unique to each figure, adding a lot to the figure's appeal. These are the last figures produced in the Rock Lords Toyline. here you can see a close-up of the back of the Bandai boxes where the shock rocks were sold in in Europe. Every Shock Rock has a little description for his features in both english and french. The figures have been drawed with big detail, and you can even see the colour variation on Dragonstone ! 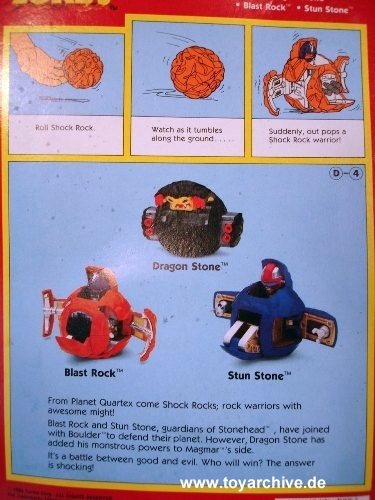 Here you can see the back of the shock rocks that were released on US cards by Tonka. 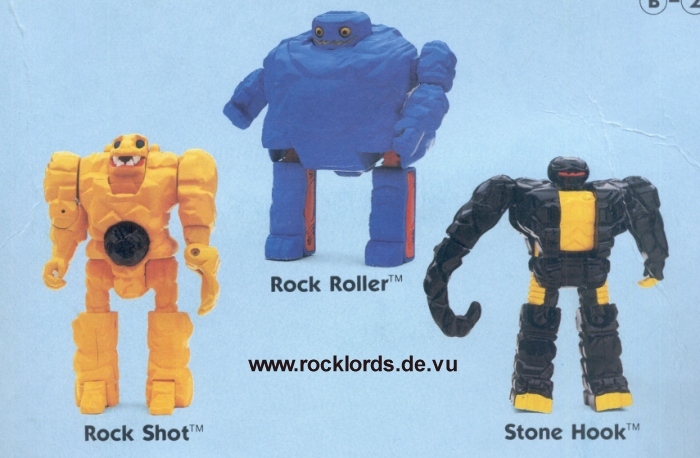 Shown are all three shock rocks of the first wave (Rock Roller, Stone Hook and Rock Shot), the most interesting figure here is certainly the Rock Roller pictured, which is a prototype painted in a dark blue colour. Rock Shot also is painted more yellow than the produced version. 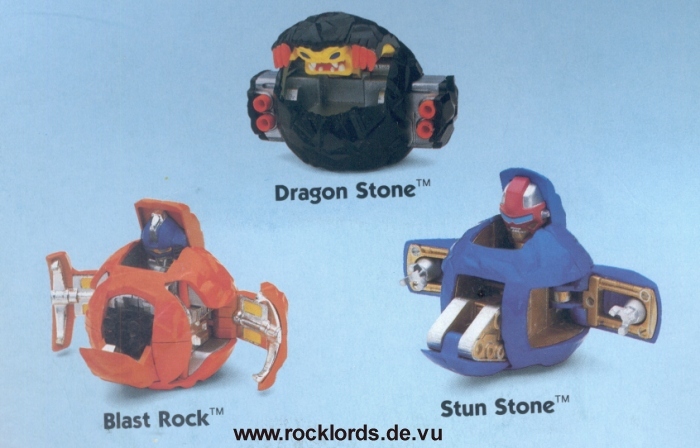 The back of the Blast Rocks also shows very interesting prototypes of Dragonstone, Blast Rock and Stun Stone. 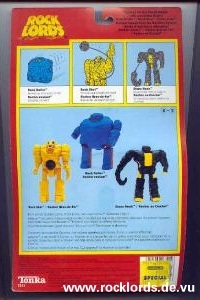 Below are some more detailed pictures of the prototype figures featured on the back of the Tonka Shock Rock packaging.